DOTI, July 17: While deaths from chhaupadi shelters in the western region have not ceased to make headlines, initiatives taken to counter the culture are dwarfed in front of its root cause- fear of their kuldevta (clan deity). ‘They can stand death of their girls and women’ but cannot anger their clan deity, activists working in the sector share. Strong faith in their clan deity and fear of repercussion of angering the deity among the locals suggests that the solution to uproot the practice of chhaupadi is hard to come by. “The biggest problem is faith of the people in their clan deity. Locals here think that their deity will be angry if they stop following the Chhau culture,” notes Mayadevi Kunwar, a resident of Achham. “Even though girls and women are dying in the shed, one after the other, people are not ready to open their eyes,” she adds. It is not hard to find people in Achham who would share with listeners interesting anecdotes on the importance of Chhaupadi practice. It is a practice where in menstruating females are banished from the family home, water sources, temples, family members, among others in the belief that such females are impure. As such, they are forced to live in sheds, locally known as a chhaugoth, during their periods. Coming by locals who confidently state that they or their family members or cattle fell ill because of lapses in following chhau rules is very commonplace. “If anything goes wrong at home, like if a family member or cattle gets sick, people take no time in linking it with Chhaupadi. They instantly ‘realize’ that it’s due to their negligence in observing Chhaupadi rules,” Kunwar states. When Parbati Budha, a teenage girl of Tumrakhad Rural Municipality died due to snakebite while she was living in chhau shed, her dead body was buried in a hurry in an attempt to suppress the news. According to Kunwar, such deaths are taken naturally in the region. “People do not want you to talk negative of the culture. They love their clan deity more than anything else. Actually, it’s fear. Due to fear of their clan deity, locals even try to hide the news of death in Chhau shed,” Kunwar explains in an attempt to highlight the extent of fear among the locals for breaking chhau rules. In Budha’s case, some villagers threatened her elder sister for talking against the practice and leaking the news to the press. She later expressed dissatisfaction with the media as well for not respecting her request to not quote her. “It is about the mindset, it is very hard to change it,” notes Kunwar. “Many of the chhau related sad news are actually hidden by family members,” she said. While girls and women are kept in isolated shed, chhau goth, during the menstruation, they are not allowed to use the family toilet either. While they are bleeding, they have to search for jungles to relieve themselves even though they have toilet at home. According to Kunwar, toilet restriction is equally serious. If a menstruating female is found using a toilet, other members of the family or villagers consider it unusable. “Male members of the house would not allow the menstruating female to use the toilet. Elder women are equally strict about the rules. It is very hard to challenge the practice,” she said. 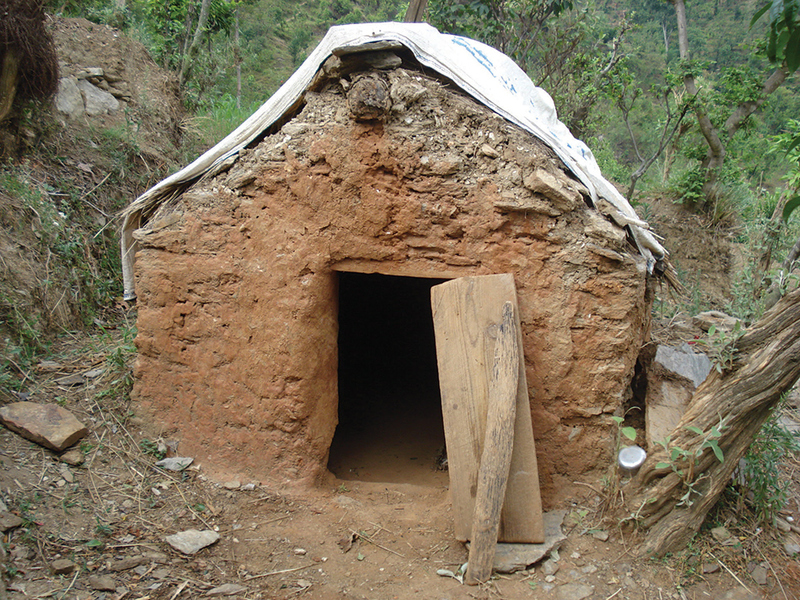 In the past one decade, 12 girls and women have already lost their lives in Chhau shed in Achham district. These are only reported cases. Locals admit the number of unreported case could be more than this. Several data suggest that around 50 percent menstruating females in the district live in Chhau shed during their periods. Spending five days in the shed, which is unsafe and uncomfortable, is the common fate of those women. Since they are not allowed to enter their house or in their kitchen, such women are forced to depend on whatever is offered by their family members. It is a common case that the menstruating women are sometimes even deprived of drinking water in lack of caretaker who could give them water. “That’s the period of isolation when you are helpless even if you are hungry or thirsty,” says a local journalist from Achham, Geeta Kunwar. “No matter what kind of problem you face during those five days, you have to face it. It’s the culture,” she added. The Kunwar duo is not impressed with the initiatives the government is making to weaken the culture. Even though, the practice has been criminalized, villagers are not aware of it. On the other hand, even those who had earlier ‘agreed to’ destroy Chhau shed are now openly supporting their use. People are re-constructing Chhau sheds in many areas, according to reports. “The government brought law against Chhaupadi. However, people are still following the practice. They do not even know there is a law which punishes such act,” Geeta states. Strong religious faith, which is the root cause of continuation of Chhaupadi is found also among educated people, according to Sabina Shrestha, who worked for long time as assistant women development officer in Achham. 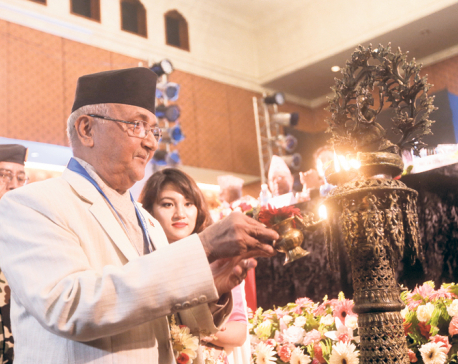 “And this is what makes uprooting the culture very challenging,” she remarks. Apart from Achham, parts of Doti, Dadeldhura and Baitadi districts are also in the grip of this superstitious practice.